The Haddonfield Police Department is doing their best to hold residents to the town-wide 25 mile per hour speed limit. On one of the first days of October, Christopher Yanavich was at work when he realized he had forgotten his wallet, so he placed a call home to his pregnant wife, Natalie, who promptly went outside with their 2-year old son, Tommy, to search her car. 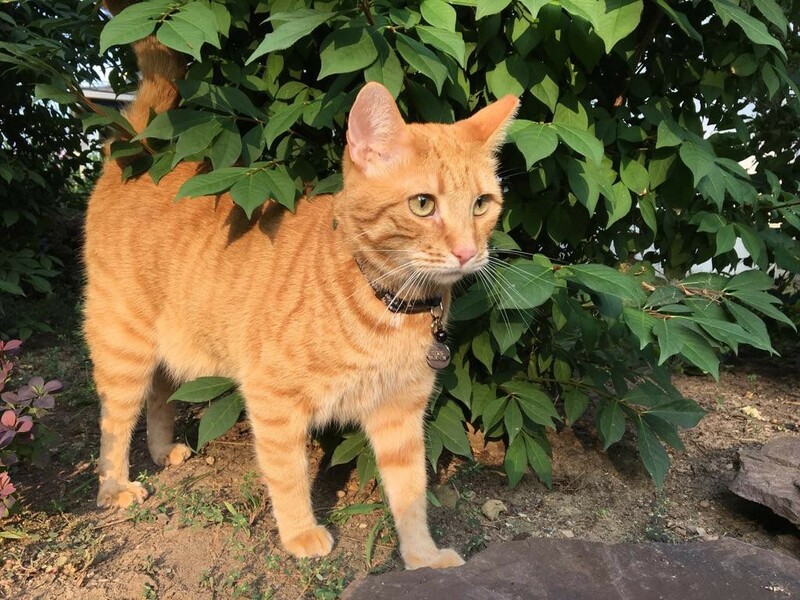 At that moment the family cat, Tucker, having spotted the pair, decided to cross Hopkins Ave.
“My son was watching Tucker run across the street, and a car just came zooming down the street and just plowed over my cat and kept on going like nothing happened,” Christopher Yanavich said. The phone went silent, and when Yanavich called back 10 minutes later, he received the news: Tucker was dead. Yanavich said the incident has him seriously considering what efforts can be made to curb speeding down residential Haddonfield streets. “We always see cars on Hopkins between Grove and Haddon Avenue doing at least 45 miles per hour,” Yanavich said. 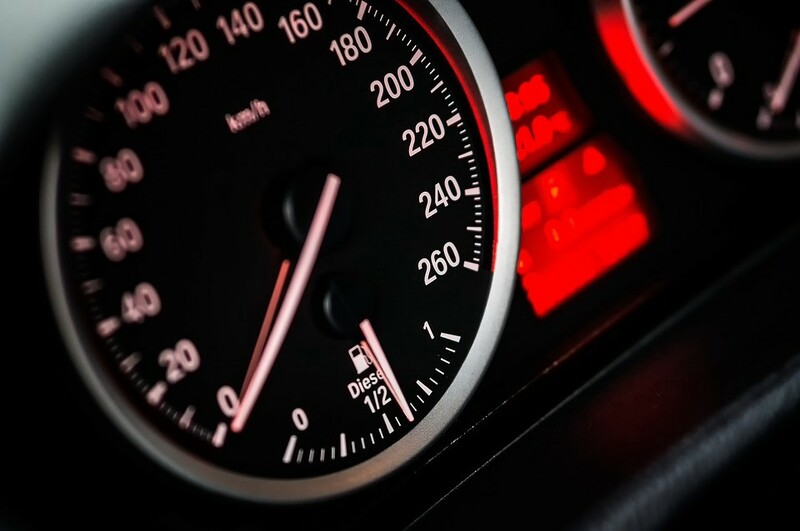 Haddonfield Police Lt. Jason Cutler said speeding is something that is always on the department’s radar, and it is mulling over the issue “in house,” contemplating ways to mitigate the problem. Cutler said the department has four traffic study units, and the department does around 20 week-long traffic studies a year. With new technology making compiling data easier, Cutler said the department conducts more traffic studies now than ever before. The impetus for the studies varies, Cutler said. He said sometimes residents will call with concerns about speeding on their street, while other times borough engineers will need a study conducted because they’re re-designing a roadway. He said patrols are also constantly out looking for speeding vehicles and issuing warnings and tickets when they spot them. He said the department also employs traffic trailers indicating motorists’ speeds to give them feedback. Cutler said modern cars are built so well that drivers often will not realize how quickly they are going. When residents come to the police with concerns about speeding, the department often puts smaller speed boards up on telephone poles, Cutler said. He said those record speeds for its traffic studies, so it can return to residents with definitive data on whether people truly are speeding along their street. He said the data is often an eye-opener for residents. Cutler said they usually find that most people are driving at or below the speed limit, and out of 6,000 cars traversing a street in a week, approximately five may be doing over 40 miles per hour. In the early 2000s, the department did a “Haddonfield Drives 25” campaign in town it has been considering reviving, Cutler said. Because every speed limit in the borough is 25 miles per hour or less, the department’s initiative had signs around town and police out of their cars stationed on the street using handheld speed radar enforcement devices. He said the campaign made motorists more aware of the 25 mph limit. Cutler said there is a law if you hit a domesticated animal, the motorist has to report it to the police or risk being fined. While Yanavich still doesn’t know who hit his cat, he said his neighbors were overwhelmingly supportive leaving cards and flowers. Yanavich, who can see Christ the King school from his home and spots the J. Fithian Tatem walking train each day, said his cat’s death has him wondering what would have happened if it had been a child crossing the street. The police came to the Yanavich’ home following his incident, and Yanavich said the officers were kind and offered their condolences. The Yanavich’s cat Tucker. Photo courtesy of Christopher Yanavich. He suggested to the officers that the town put forth restricted speed limits on streets bordering schools during peak foot traffic hours. He said if the speed limit is 25 miles per hour, people often think it’s OK to do 30, but if the speed limit was 15, it might be more of a deterrent. Changing speed limits is a difficult process, Cutler said. The speed limits are set through the state, and through the governing body, the borough can petition to have them lowered. However, all speed changes have to go through the state Department of Transportation, and with the the town already at 25 mph, Cutler said he doesn’t anticipate the speeds dropping lower. For Yanavich, the change is worth pursuing. He said if residents rallied together and went to the commissioners with their concerns, he thinks it could spur some action.